Demolition Services provides competitive demolition and decommissioning services, including strategy development, hazard characterisation, decontamination (asbestos and chemo-toxic), de-planting, asset disposal, demolition and land remediation. 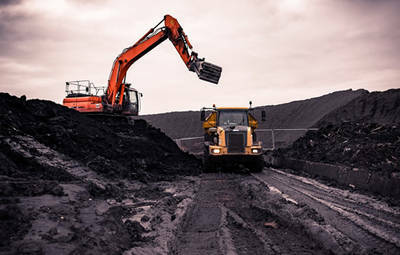 We specialise in delivering safe enabling services and land remediation solutions for our customers and a key aspect of project delivery is the plant and equipment we use. 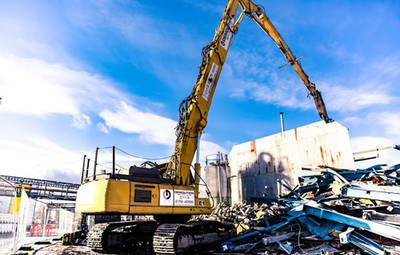 Demolition Services specifies, purchases and maintains its own specialist plant and equipment for use on its decommissioning, demolition and land remediation projects. 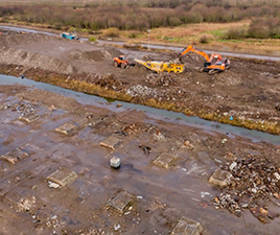 Demolition Services specialises in the removal and safe disposal of excess excavated materials from site. Whether you have inactive or contaminated aggregate to move, we will arrange the safe and correct disposal of your waste. 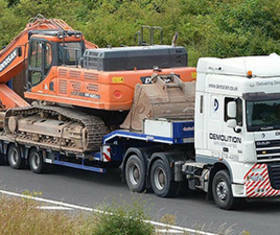 We operate and own a large fleet of vehicles nationwide. We work with clients to maximise asset recovery and resale to ensure our customers realise the true value of redundant equipment and thus minimise the negative Net Present Value often associated with production facility relocation or decommissioning projects. Suitably qualified and experienced personnel, comprehensive Safe Systems of Work and a variety of established relationships and routes to the salvage market ensuring that Demolition Services is the preferred partner to maximise asset recovery. It has been identified as a key element in our clients’ requirements for successful construction projects. And one that Demolition Services is uniquely well equipped to meet with a range of cost-saving services in waste management, resource efficiency and material recycling. Our waste management employs codes of good environmental practice and innovative technology. We re-use, recycle and recover material and wastes produced during a project. 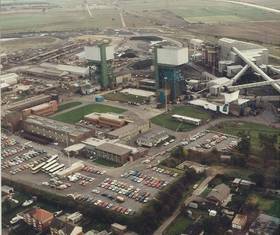 Our stringent and responsible approach is particularly relevant on contaminated, ex-industrial sites. We offer a complete waste management service, from initial on-site waste stream audits and classification advice to the collection and processing of various types of industrial and special wastes. Our in-house teams have extensive experience in surveying, identifying, containing and removing all types of asbestos insulation and coatings from a wide variety of industrial and commercial environments. We provide complete end-to-end asbestos management solutions including asbestos removal and remediation services on large and small-scale works. 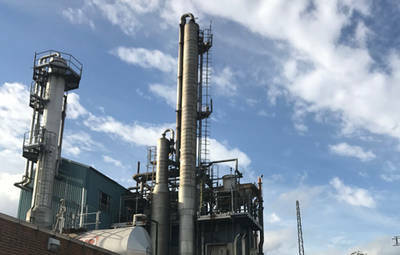 Demolition Services has significant experience in dismantling a variety of mechanical, process and chemical plant installations. 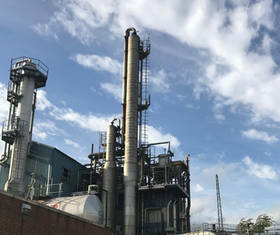 Our experience includes the selective dismantling of plant and structures within and adjacent to live operational facilities. Detailed planning and coordination with our clients’ operational procedures ensures that we complete your project with minimum effect on production processes. A precursor to the majority of dismantling and demolition projects is the requirement for decontamination and plant cleaning. Prior to commencement of all projects, structures plant and equipment must be certified as being clean and free of any materials, product or residues that could affect the Health, Safety or Environment of operatives, sub-contractors or others that could be affected by the operation. We are able to undertake the decontamination and cleaning of all types of plant, structures and equipment, internally and externally to ensure full compliance with statutory regulation. Preparing land for development is what Demolition Services specialises in. 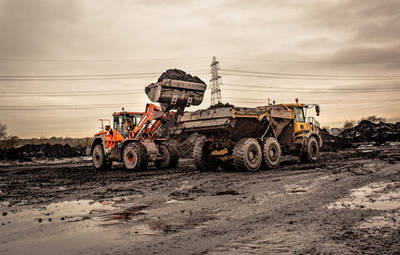 Our extensive experience and range of remediation techniques combined with our other expertise means we can undertake turnkey remediation contracts in the most cost-effective way possible. 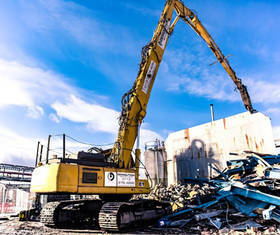 Gained from over 40 years experience in the industry, Demolition Services expert teams continue to implement leading, innovative technologies and processes and utilise industry advanced equipment in order to safeguard our leading reputation within the demolition industry. 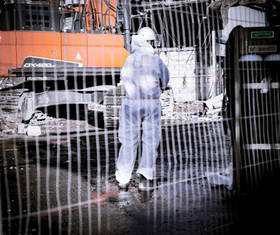 Utilising the safest and most environmentally responsible techniques available, we work within challenging environments to undertake conventional, floor by floor, long/high reach excavator, robotic and controlled explosive demolition. Some of this equipment is available for hire, together with an operative, depending on workload. The recovery of your assets across plant, equipment and machinery or land and buildings, can often result in shared gain for the client and Demolition Services can mitigate the risk from those assets and identify opportunities to maximise value. The company has extensive knowledge and experience in marketing, processing and managing all types of ferrous, non-ferrous and exotic metals. Today’s ever-increasing environmental concerns and legislative constraints place considerable pressure on the industry to recycle waste materials. 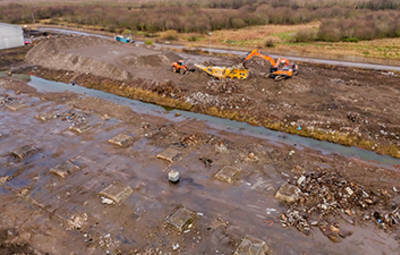 Demolition Services is licensed by the Environment Agency and has established waste sites for the segregation of recoverable and reusable materials. This process considerably reduces the amount of material sent to landfill, thus minimising the environmental impact of the company’s operations. We own and operate a fleet of modern mobile recycling equipment including concrete crushers, screens, trommels etc. Where practicable, all material processing is carried out on-site to minimise the need to double handle or transport materials from site. Our technical knowledge and track record enable us to deal with all manner of asbestos removal and disposal safely and efficiently. All asbestos removal is undertaken in accordance with developed document and training systems which meet the requirements of the current Control of Asbestos Regulations, supporting Approved Codes of Practice and company Asbestos management policy. These management systems have been accredited to BSEN ISO 9001 Quality Assurance management and are accredited with ARCA. To ensure continual improvement of these well proven asbestos management systems they are not only audited internally but are audited twice a year by ARCA. 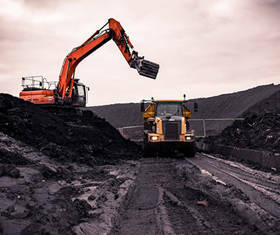 By utilising a combination of various dismantling techniques, our highly-trained workforce can recover your assets, from a single machine to an entire processing plant. 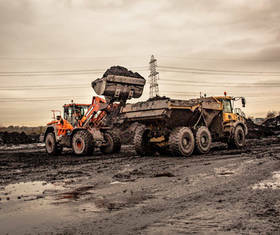 Our extensive fleet of specialist equipment and plant and skilled and highly trained staff can perform any type of dismantling operation within high risk environments, employing innovative techniques. The services of Tank Cleaning, De-gassing and Cold Cutting are all undertaken by experienced and highly trained teams, who are fully conversant with the strict controls and procedures essential when working under refinery conditions.We work in close liaison with chemical, occupational hygiene and waste disposal consultants to carefully plan every facet of the works. 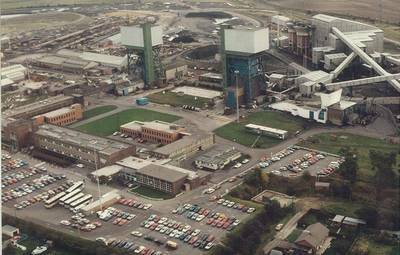 With a proven track record of decommissioning a broad spectrum of redundant plants for major blue-chip organisations, including power stations and chemical plants, we offer a fully-integrated total ‘closure management’ solution for the removal and disposal of hazardous chemicals and contaminated materials in a safe, environmentally friendly way. From individual vessel decontamination to that of entire plants, our highly trained expert teams draw on tried and tested solutions. Demolition Services have wide expertise and experience in handling all types of decontamination projects and our capabilities include decontamination down to a non-detectable level in line with the requirements of sterile areas and clean room conditions, as well those requiring all traces of contamination to be removed such that areas and equipment may be considered safe for the general public or re-use. 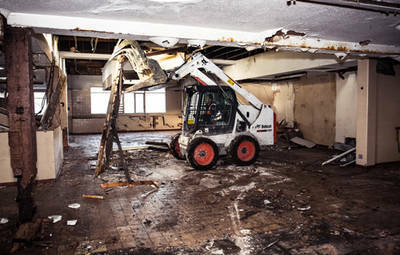 For Demolition Services, a remediation project is not just about cleaning the contaminated land and water through a variety of hi-tech procedures or the extraction of contaminated material for clean-up or landfill. Our goal is to get a site into a healthy condition for development in a way that offers our clients the best value for money whilst at the same time satisfying local regulators throughdeveloped relationships and continuous engagement. We use the latest technology, equipment and geoenvironmental solutions best suited to your project. We walk you through step by step from embryonic pre assessment, design, waste management, all necessary licenses, permissions and processes to a final clean, environmentally approved site, prepared for the next stage of construction. Our specialist teams include geo-environmental engineers, chemists, scientists and geologists all of whom are highly skilled and able to provide feasible and cost effective solutions for your project. Whether it is In-situ, Exsitu, Waste Management, Geotechnical or Integrated Environmental Solutions, we have the answer. 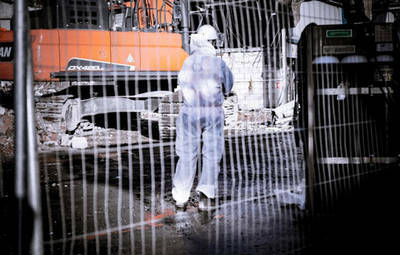 Our unique position of being able to offer industry leading asbestos, demolition and remediation services means we have an ability to design remediation solutions with a greater knowledge of where the contamination came from and how the site may be affected by future development. We offer comprehensive site preperation. We offer under a single contract, with a single warranty and without the traditional sub-contractor interface. We has the broad-ranging experience to design and implement specific plans to undertake projects of varying complexity, on any scale. 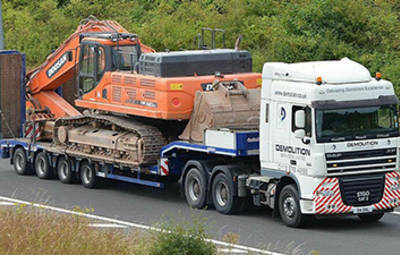 We own and operate an extensive, modern fleet of plant, ranging from a 45 meter High Reach to tracked concrete crushing plant, and utilising our low loader transport can place these on any site across the UK. Arisings are typically crushed and reutilised on site in order to maximise the amount of reclaimed material and practiserobust environmental practices through waste minimisation. 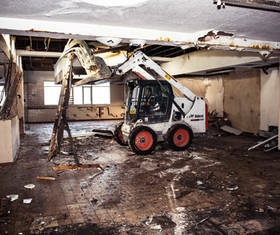 We are experienced and expert demolition engineers.